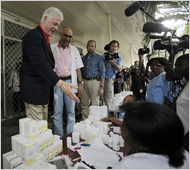 Bill Clinton said stress and lack of sleep were to blame for his trip to the hospital last week for a heart procedure. The former president spoke Wednesday in New York at an event to campaign against childhood obesity. 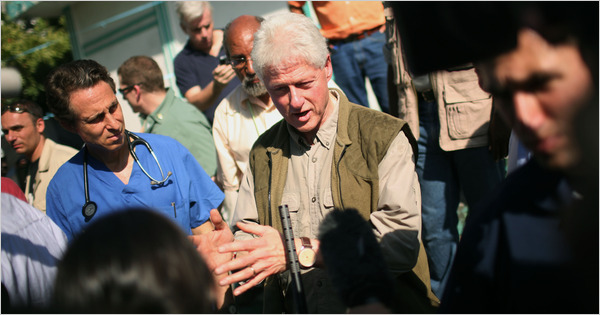 He said his schedule had been harried ever since he started working to help victims of the devastating earthquake in Haiti. Clinton, 63, who had quadruple bypass surgery six years ago, underwent a procedure last Thursday to reopen a blocked bypass graft in an artery with the use of two metal stents. Clinton promised to continue working but said he plans to exercise, get more rest, and eat a healthier diet. He said poor eating habits since childhood had caused his heart problems. 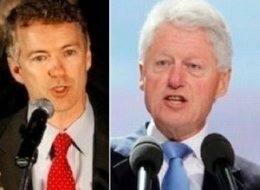 heart disease at a young age…Clinton has always pushed himself to do more… with less…..His travel schedule, since he left the White House, has been a marathon…..He is a gifted man who seems to be on a continual treadmill….. …..Pushing himself for his wifes campaign…..his Library…his Foundation and Haiti….. He has been very rarely pictured resting anywhere..he spends no time with his wife…and he has a big wedding coming up for his daughter…..
Not too much to do ….right? 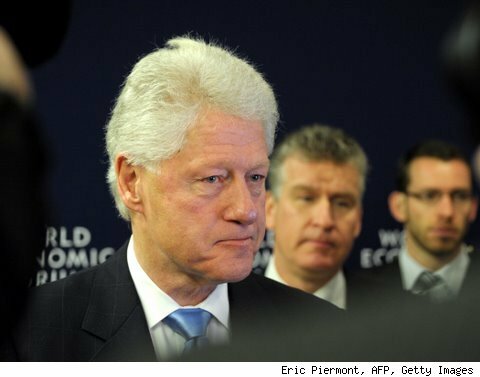 Former President Bill Clinton left a New York hospital on Friday morning after undergoing what his cardiologist called a successful procedure to clear a blocked artery. Mr. Clinton, 63, who has a history of heart trouble, had two stents inserted into one of his coronary arteries after a bypass graft from an operation nearly six years ago became obstructed, Dr. Allan Schwartz, the head of cardiology at New York-Presbyterian/Columbia hospital, said Thursday night at a news conference outside the hospital in Washington Heights. Within two hours of the procedure, Mr. Clinton was up and walking again, and Dr. Schwartz said he planned to send him home on Friday and allow him to return to work on Monday. He was taken to the hospital on Thursday after experiencing chest discomfort. Secretary of State Hillary Clinton at the Hospital with Rep. Anthony Weiner….. visiting her husband…. Secretary of State Hillary Rodham Clinton learned of her husband’s procedure shortly before her weekly meeting with President Obama in the Oval Office, a senior State Department official said. She went ahead with the meeting and then left for New York. Mrs. Clinton and the couple’s daughter, Chelsea, were with Mr. Clinton on Thursday night, Dr. Schwartz said. 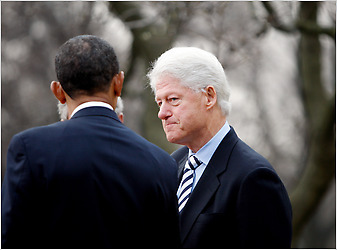 Mrs. Clinton decided to delay her departure for the Persian Gulf to Saturday from Friday to be with her husband. She is to travel to Qatar and then to Saudi Arabia, where she is scheduled to meet King Abdullah. The ex-President needs to take a easy…he has a lot of work to do for the country and people of Haiti ahead of him…..